What gives human breast milk its flavor, sweetness, and creaminess? The taste of breast milk is generally considered to be sweet and creamy with a pleasant flavor. However, when it comes to which flavors you like and don't like, everyone has a different experience. Taste is developed over time depending on your genetics, your culture, and the foods that you're exposed to throughout your life. So breastmilk, just like any other food, may taste different to different people. Breast milk contains the milk sugar lactose. Even though lactose is not the sweetest type of sugar when there is a lot of lactose present, the sweetness is much greater. Since lactose is one of the main ingredients in breast milk, it appears in high concentrations, giving breast milk its sweet flavor. Breast milk also contains fat. The amount of fat in milk determines its creaminess. When breast milk first starts to flow from the breast, it has less fat, so it may appear thin and watery. But, as the milk continues to flow, it becomes higher in fat and much creamier. Beyond sweet and creamy, breast milk is made up of the flavors that come from the foods that you eat every day. When you eat a well-balanced diet full of fruits and vegetables, you are exposing your child to the tastes of these healthy foods. As your breastfed child grows and begins to eat solid foods, experts believe that he will more readily accept the foods that you have already exposed him to through your breast milk. In this way, your child can develop a taste for many of the foods that you enjoy, even garlic, spicy foods, or other cultural dishes. A change in the taste of your breast milk for any of the reasons listed below may affect your child. Some babies will not seem to notice or mind the variations of taste while other children will nurse less, go on a nursing strike, or even appear to be self-weaning. By understanding some of the things that can change the flavor of your breast milk, you may be able to keep your child breastfeeding longer. Hormones: The shifts in the levels of hormones in your body from the return of your period or a new pregnancy may influence the flavor of your milk. It's still safe to breastfeed if you have your period, and it's usually safe to continue to breastfeed if you become pregnant again as long as you are not high risk. So, if you still want to breastfeed, continue to offer your child the breast. Exercise: The build-up of lactic acid in your body along with the saltiness of perspiration on your breasts from strenuous exercise can change the taste of your breast milk. To try to minimize the effect on your breast milk, keep your workouts at a light or moderate level. You can also wash your breasts before you feed your baby to remove the salty sweat. Medications: Certain medications can change the taste of your breast milk. If you start a new medication and notice your child is not breastfeeding as well, that might be the cause. Talk to your doctor if you think this is an issue. Smoking: Studies show that the breast milk made by a mother after smoking cigarettes will take on the smell and flavor of the smoke. If you smoke, have your cigarette immediately after you finish feeding your child and try not to smoke for at least two hours before breastfeeding again to keep the smell and flavor of the smoke to a minimum. Alcohol: Drinking alcohol is known to affect the taste of breast milk. It takes about two hours for each alcoholic drink you consume to leave your body and your breast milk. So, the longer you wait to breastfeed after you have an alcoholic beverage, the less alcohol will be in your breast milk to alter the flavor. 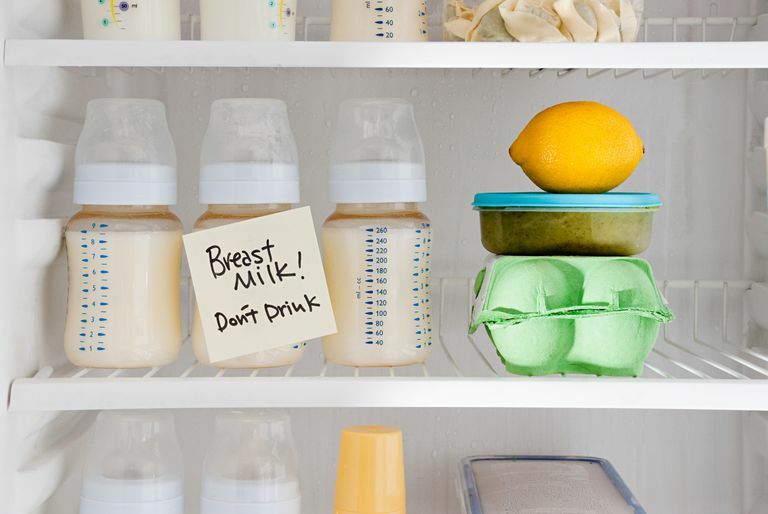 Frozen Breast Milk: When you defrost breast milk that has been collected and stored in the freezer, it will sometimes have a soapy odor and taste. It's still safe to give to your child, but he may not like the different flavor and refuse it. Mastitis: Mastitis is a breast infection that can cause your breast milk to have a strong, salty taste. If you think you may have mastitis, it's OK to continue to breastfeed, but your baby may refuse to nurse on the side with the infection. And, since you may need to take antibiotics to treat mastitis, you should see your doctor. Body Products: Any lotions, creams, soaps, perfumes, oils, or ointments that you put on your breasts can add different flavors to your breast milk as your baby nurses. If you use any body products on or near your breasts, be sure to wash your breasts well before breastfeeding your baby. If you're concerned about the flavor of your breast milk, or you just want to know how it will taste to you, you can try it. Breast milk is a natural, healthy food, and it will not hurt you. There is nothing wrong or disgusting about trying your own breast milk. Can Your Partner Try Your Breast Milk? Sometimes husbands or partners are curious and want to taste breast milk as well. It is OK to let them try it, too. If your partner wants to try it in a cup, just be sure you don't have a health issue that you could pass on through your milk. If your partner wants to try it from your breast, then be sure your partner doesn't have any health issues such as thrush or herpes that could transfer to your skin and affect you and your baby. It's OK to try another person's breast milk if you know their health history and understand the risk involved. You should always be smart and use common sense because it can, of course, be dangerous to try the milk from another person's breast. Breast milk is a body fluid. Therefore, it is possible to contract an infectious disease, including HIV, from drinking someone else's breast milk. Andreas NJ, Kampmann B, Le-Doare KM. Human breast milk: A review on its composition and bioactivity. Early human development. 2015 Nov 30;91(11):629-35. Breslin PA. An evolutionary perspective on food and human taste. Current Biology. 2013 May 6;23(9): R409-18. Spencer JP. Management of Mastitis In Breastfeeding Women. American Family Physician. 2008; 78 (6). 727-732.